Last year I made handmade ornaments for our Christmas tree. And each ornament was inspired and dedicated to the loved ones we’ve lost over the years. 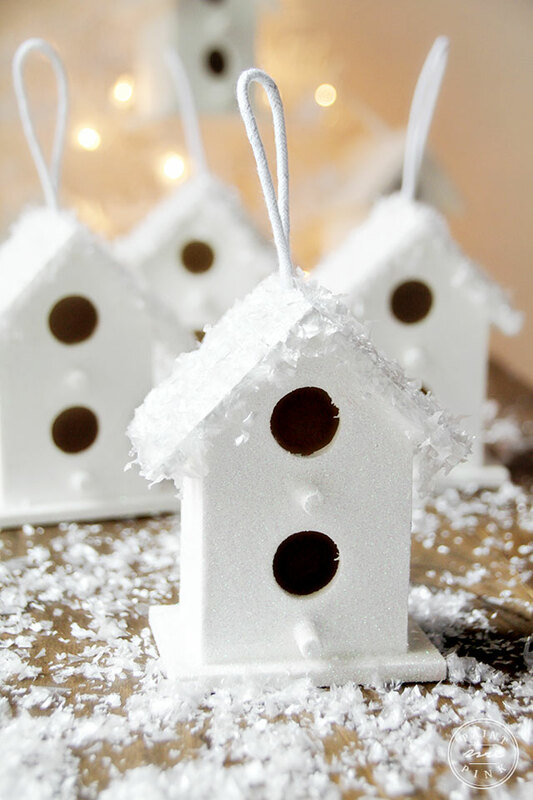 These sweet little bird houses were dedicated to Great Grandpa Mario who loved making and painting birdhouses. His birdhouses had amazing detail work and beautiful sceneries painted on them. 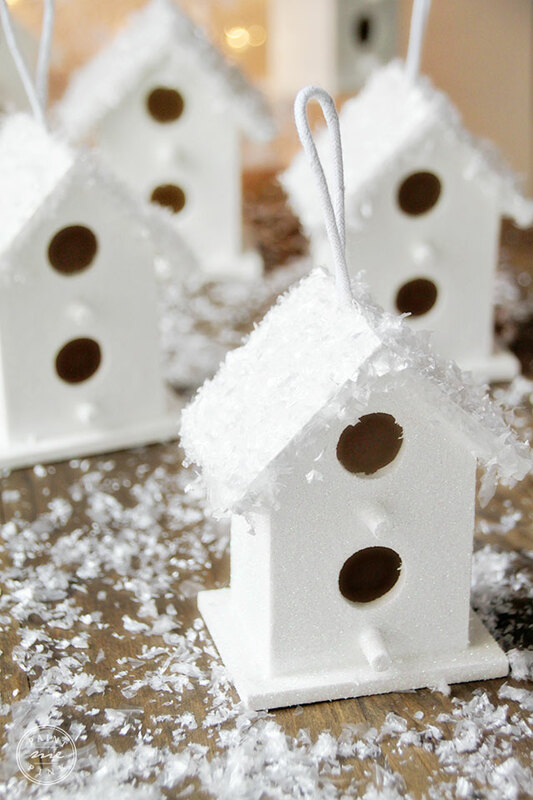 I wanted to dedicate these snowy birdhouses to him. They are simple but they look beautiful on the Christmas tree. This is a simple craft that you and your little ones will enjoy making together. My sweet little Juliet and Scarlet helped out so you will see their tiny little hands and fingers in some of the photographs. 1. 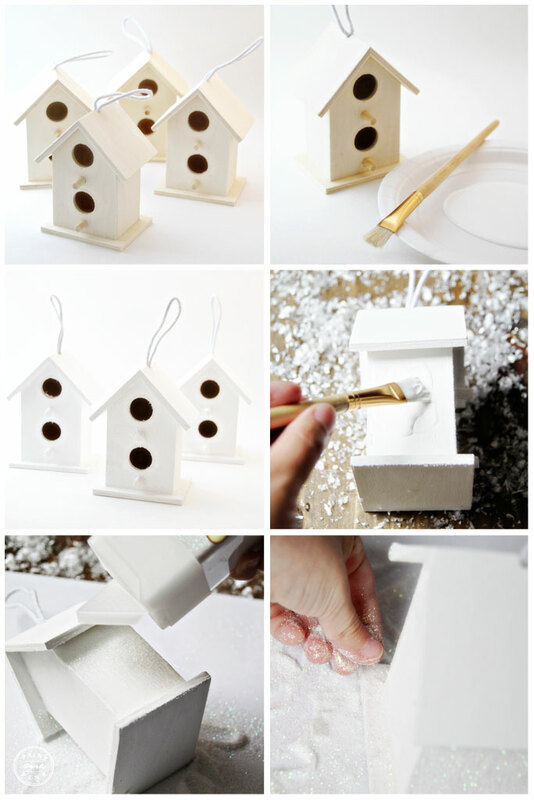 Paint the birdhouses white or color of your choice. 2. 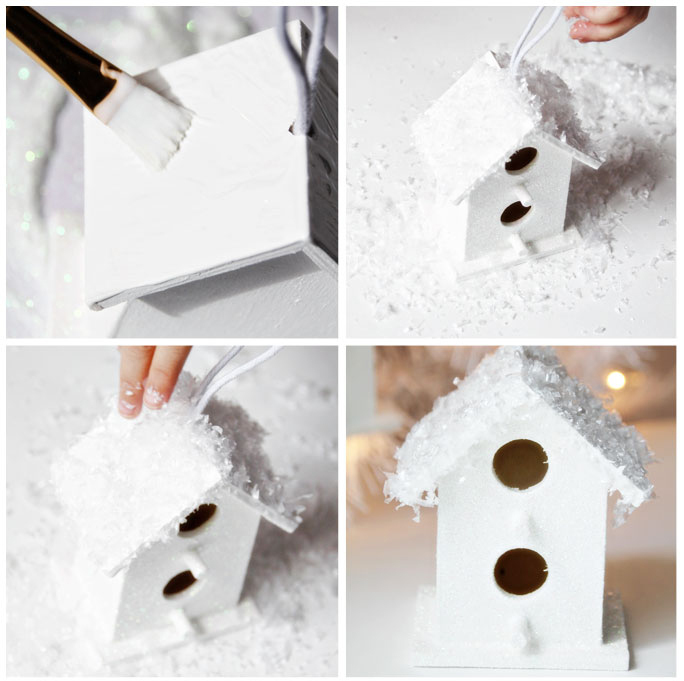 Let paint dry then apply Mod Podge to desire areas on birdhouse, using foam brush and sprinkle glitter over it. Work in small sections. 3. 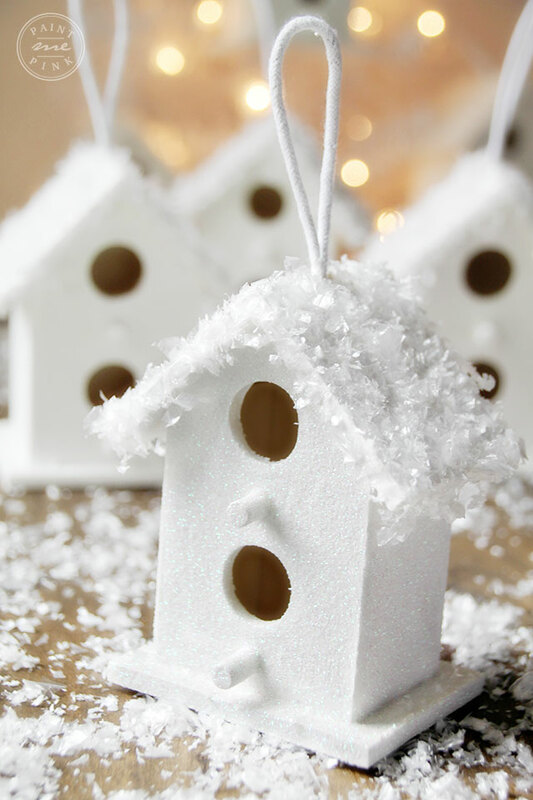 After adding glitter to your desire areas, apply Mod Podge on the roof and sprinkle the fake snow over it. 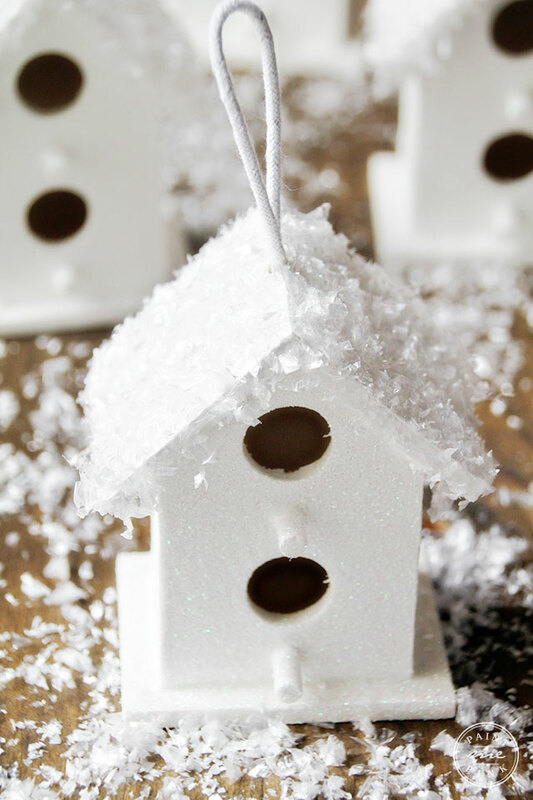 You may want to tap down on the snow to make sure it’s sticking to the Mod Podge. 4. 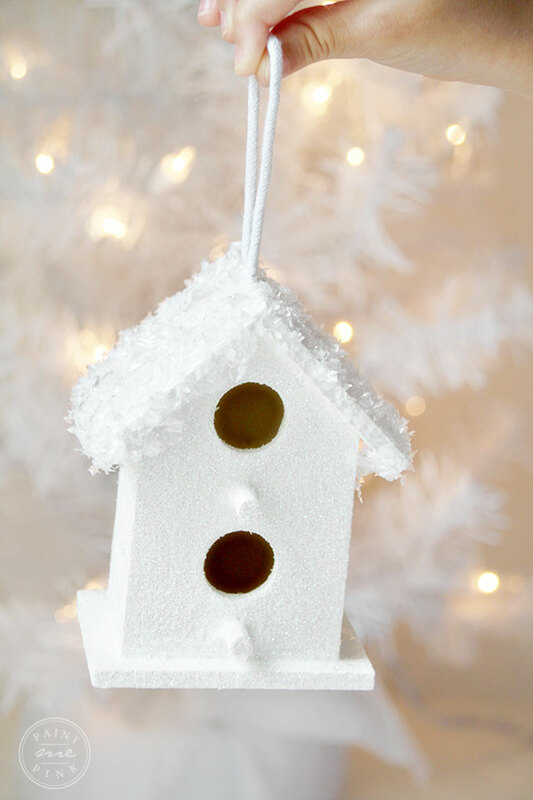 Allow your birdhouses to dry completely before hanging them on your Christmas tree. That’s it! Super simple and beautiful. I would have to say that these bird houses are pretty incredible. I know that the white is really attractive and will draw in the birds. I am excited to see how they work out. I do have to say I don’t know if the sparkles will help. 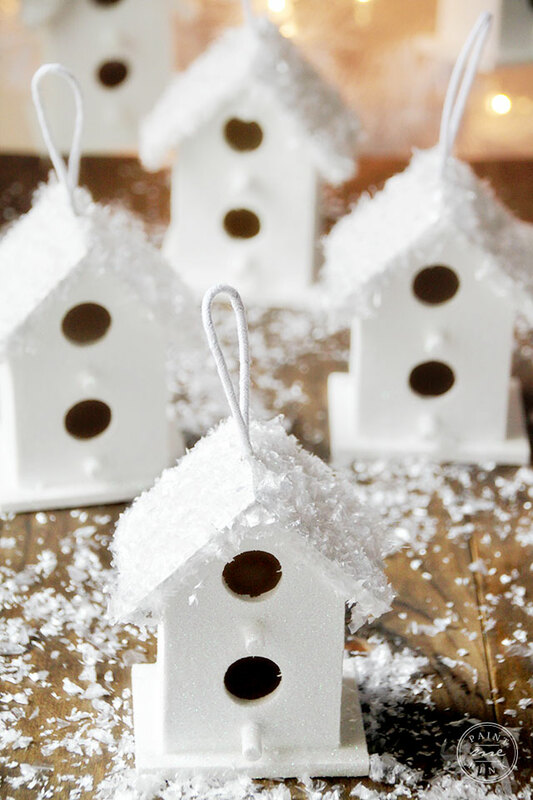 Just viewed this post, I love the birdhouses!!! Lovely!! I am starting to do mini themed trees, I may look for some mini birdhouses and do same!! So glad you know that you loved the birdhouses! It’s still one of my favorite DIY’s and we used them again this year on our christmas tree 🙂 Happy Holidays! 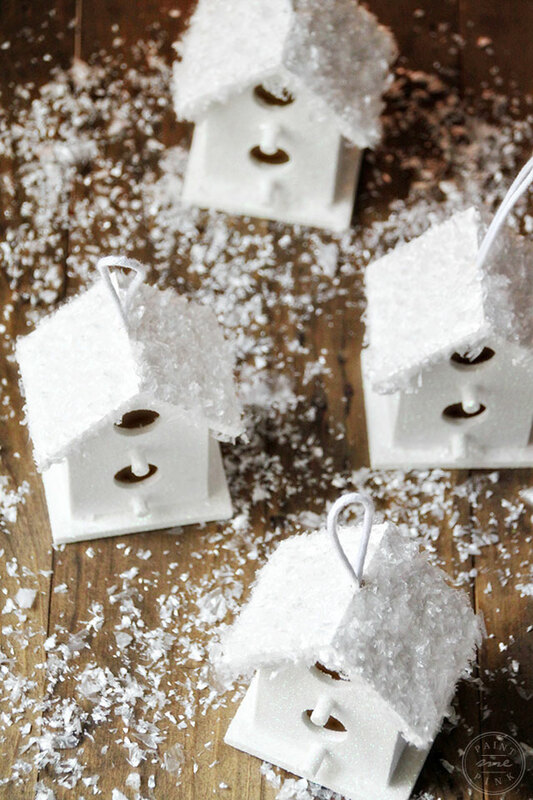 Would like to know how to make the snow to look like fluffy white frosting with some subtle sparklers it.